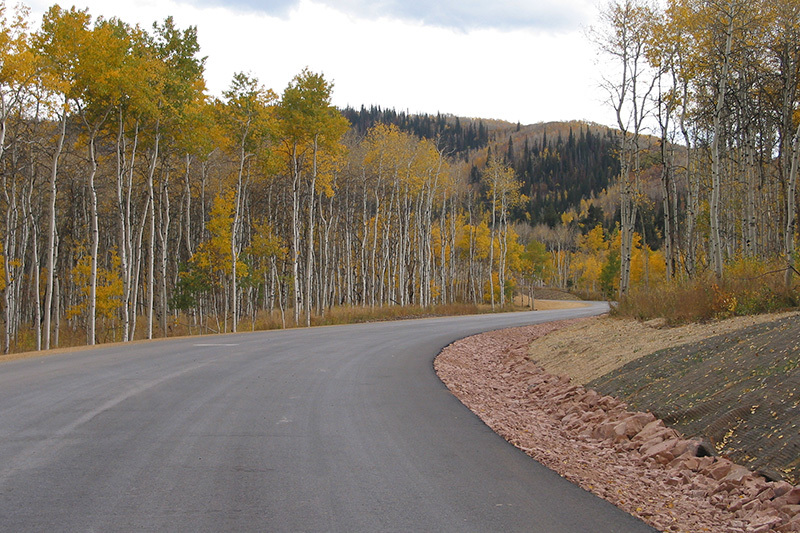 The Heber Valley Camp Project included construction of camp facilities for up to 5,000 people at a time. This required building 7 miles of paved access road, quarry development, mining and processing aggregates for project use, onsite asphalt production, water spring development, cast-in-place concrete water tank construction, water distribution piping construction, development of a waste water treatment system, building power and gas distribution facilities, campground construction, and other incidental work. Of specific interest was the quarry development and material production. W.W. Clyde & Co. developed a quarry site on the owner’s property, which resulted in significant cost savings. 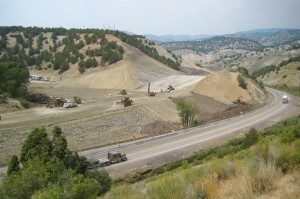 All of the aggregates used for the project, including road base, pipe bedding, drain rock, wall structural backfill, and asphalt aggregates were mined and processed onsite. A portable asphalt plant was also set up onsite. This plant produced all of the hot mix asphalt for approximately 7 miles of roadway. Quarry work included development, overburden stripping, mining, processing, stockpiling, and reclamation.